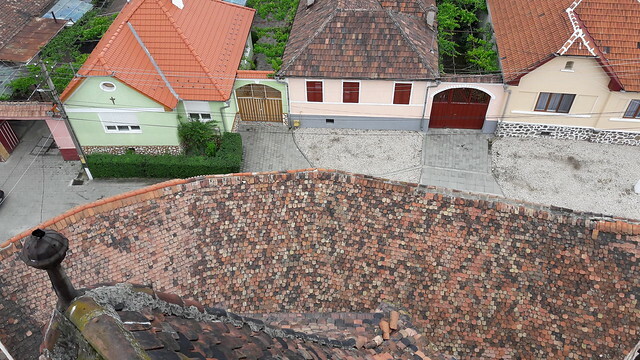 On the road from Mediaş to Sibiu there is a village with an unusual name called Axente Sever. Until 1933 the name of the village was Frâua (Frauendorf in German and Asszonyfalva in Hungarian). The new name comes from Ioan Axente an important figure of the Transylvanian Revolution of 1848. He was born in the village and hence the authorities gave his name to the village in 1933. The first mention of the village comes from 1305. The Evangelic church in Axente Sever was erected in the early 14th century and fortified later on in the 15th century. The storehouses and the guard route on top of them were also added later. The fortified church of Axente Sever is an important witness of the hard times the region had to bare. Therefore not only the ring wall was strengthened for defensive purposes, but the church building itself was also fortified. The church was not just a place of worship, but also a shelter during invasions and a cereals and meat storehouse. In the numerous storage buildings in the precincts of the fortified walls, rooms were assigned to each family from the village for storing grain, meat and other food. 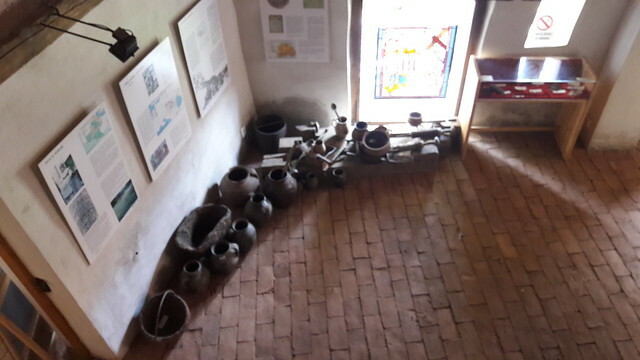 Following some recent renovation works, the old storage rooms have been transformed into a museum where you can find out more about the way the church was built, how the village was organized, the life of the villagers and the interaction between Saxon, Romanians and Hungarians, but also lots of artifacts (traditional clothing, potter). Through the use of models, maps and various other items, the museum unveils amazing stories about the lives of the Saxon colonists. In addition, guestrooms were arranged in the old storage rooms, so that today visitors can sleep inside the mighty walls. This is a unique opportunity to stay in the former pantries where Saxons used to seek shelter from the Turks’ attacks four centuries ago. (Tel :0040-735-564.996). For accommodation, there’s also a guesthouse next to the church – Sunny Guesthouse. 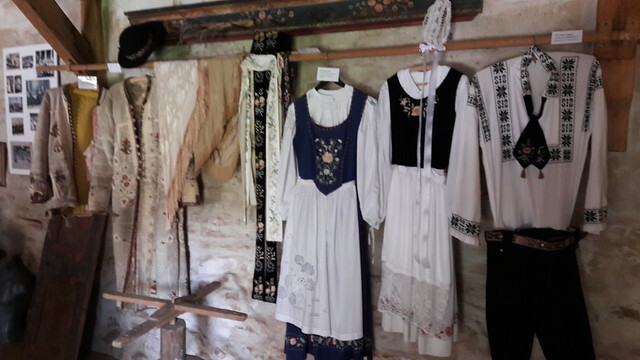 If you want to experience a pilgrimage trip in the Saxon villages around Medias and go to Axente Sever, Biertan, Richis, Valea Viilor, here is an option (German only). You can chose a 5 or 10 days trip hiking, riding a bike or a horse carriage. 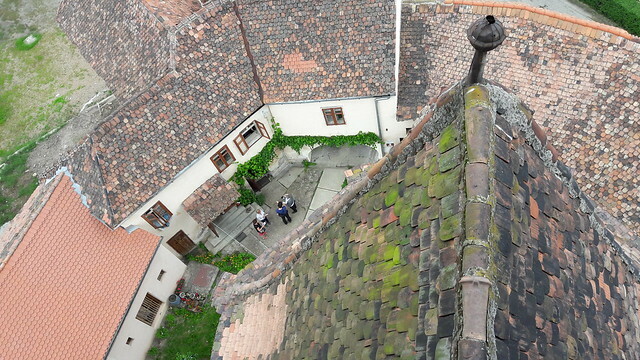 If you’re planning to do a tour of all the fortified churches in Transylvania, the Transylvania Card is a good companion. By using the Transilvania Card you can visit for free the most important 52 fortified and medieval churches of the transylvanian counties Alba, Sibiu, Hunedoara, Bistrita, Mures, Harghita and Brasov. Additionally you will receive discount of over 60 partners of the project, hotels, guesthouses, restaurants, pubs, city tours, excursions and events.